For this week's lab, we had to explore wikis. The first thing we had to do was edit our school on Wikipedia. 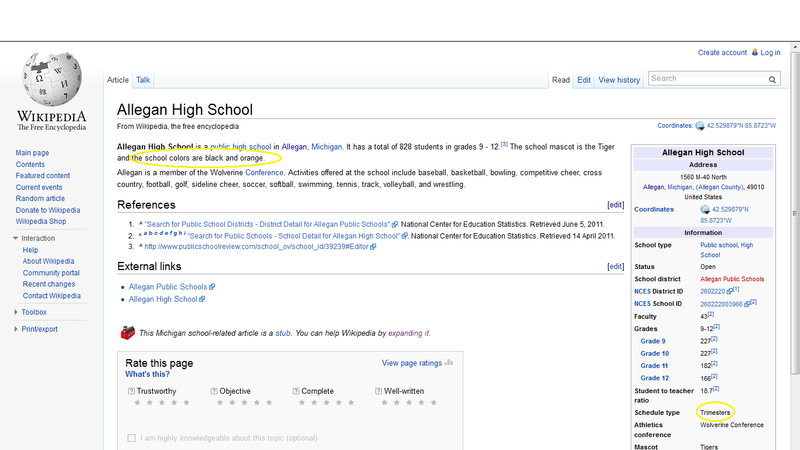 Allegan High School's page on Wikipedia isn't very extensive, but it is accurate. I added two things: our school colors and that we have trimesters.